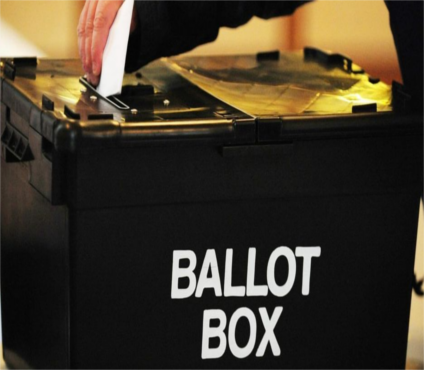 A number of councils in England, including Birmingham and Bradford, will trial the scheme at local elections in 2018. Constitution minister Chris Skidmore said the pilot would "ensure the integrity of our electoral system." The move has also received support from the Labour party. A full list of the participating councils has not been released, but the government wants to use the pilot scheme to see if it should be rolled out across the whole country. Mr Skidmore said: "The government's view is that electoral fraud is unacceptable on any level. I want to protect the right of everyone to have their say and participate in our democracy. "That is why the new measures we are announcing today will protect anyone who is at risk of being bullied, undermined or tricked out of their vote - and their democratic right. "By eliminating fraud and tackling improper practices, we are ensuring the integrity of our electoral system while building a clear and secure democracy that works for everyone." Labour's shadow minister for voter engagement and youth affairs, Cat Smith MP, said the party supported the plan. However, she said more needed to be done to ensure eligible voters were registered after a change to the rules by the Conservatives in February meant people had to register as individuals, rather than as a household - a move that saw thousands of people wiped off the register. "The Government's priority should be to ensure the integrity of the system, but also to address the fact that under them hundreds of thousands of people have fallen off the register due to their unnecessarily rushed changes," she said. "Despite what the Tories say, they have been more interested in fixing the rules to suit themselves, rather than helping the many eligible voters who are not on the electoral roll." And the government has said it is also considering plans to check the nationality of voters to stop fraudulent registrations.